It’s election season! 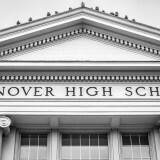 On Wednesday, April 10, Hanover High School students and faculty will choose their desired Council representatives for the 2019-2020 school year. The polling station, which will be located in the Atrium (across the hallway from the Media Center), will open at 7:30 am and will remain open until 2:30 pm. All voters will be allowed to choose up to 11 candidates from the ballot, including candidates from any class or the staff. The 12 candidates with the most votes at the end of the day will become at-large representatives; once the at-large candidates have been designated, each class will receive 5 regular representatives and 1 alternate representative. Elections for next year’s freshmen class (the class of 2023) will be decided solely by the current 8th-grade students at the Richmond Middle School, while new-and-tuition student representatives will be voted on in September. 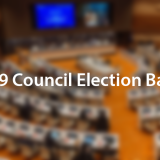 Follow the links below to read the Council platform statements of the candidates running for the classes of 2020, 2021, 2022, and Staff stating their qualifications. 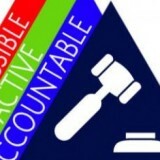 You can find the ballot of the candidates here. Thank you for becoming informed and participating as a democratic citizen within our school!